A designer always seeks new ways to create inspiring shapes. We at Optoga give them a whole host of new possibilities with the Clara AC IP65. 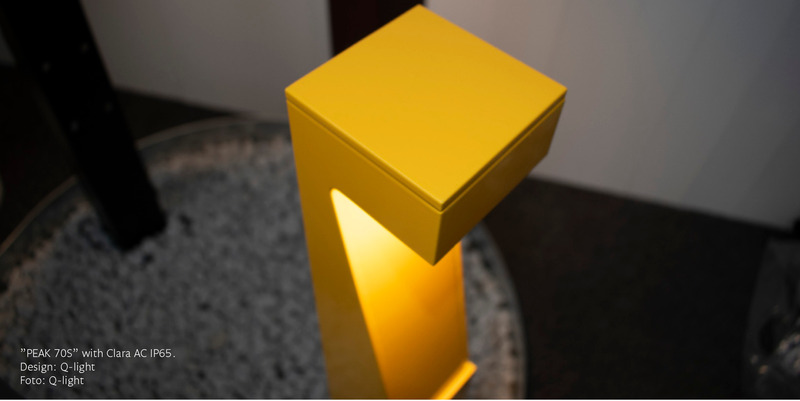 With the Clara IP65, we give designers and manufacturers new opportunities to create new interesting outdoor fittings. 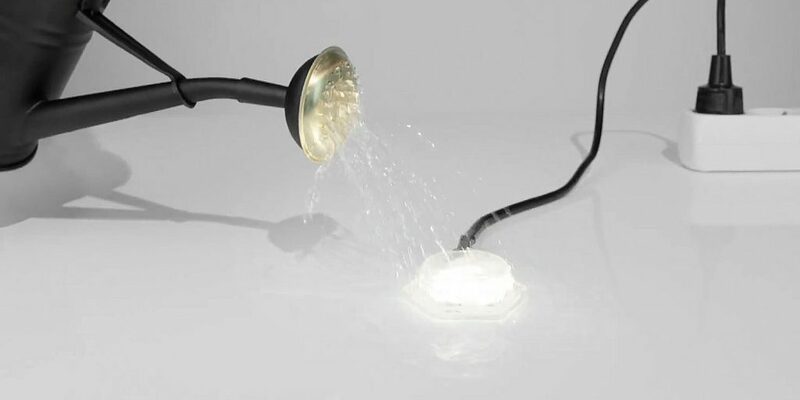 Without having to limit yourself to, and how, the luminaire needs to be water proof. We have already taken care of that in the light source. By making the actual LED-engine IP67-rated, the luminaire does not have to look like outdoor lighting always done. In addition, no external driver is needed, the Clara AC IP65 connects directly to 230V mains. It saves space, assembly time, weight and money. But above all, it creates completely new design possibilities where all that is needed can be an aluminium casing and two screw holes for the LED-engine. With Clara AC IP65 the market for lighting manufacturers is changed once and for all. Now manufacturers won’t need neither additional housing or driver for the LED unit, but can plug it directly to mains, 230 volts. This means easier and more cost-effective design, and less time to process and produce products. With Clara AC IP65 the manufacturers not only save time but also money. The idea is that instead of doing the whole luminaire moisture proof, we just do the places that are in need of moisture barriers secure. It’s about not closing in moisture, but always get it to be able to evaporate. Do not turn in moisture without opening up the structure so that the moisture can always evaporate. 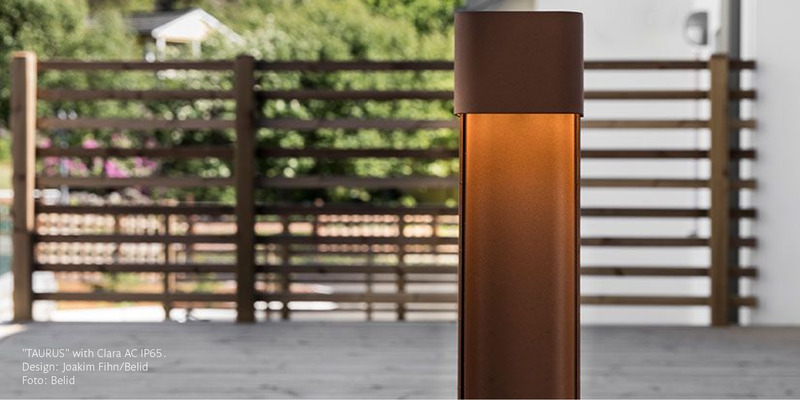 Clara AC IP65 is designed for bollards, park lighting and bulk heads and can be integrated into environments that previously were not possible, since the LED module itself is water and moisture proof. 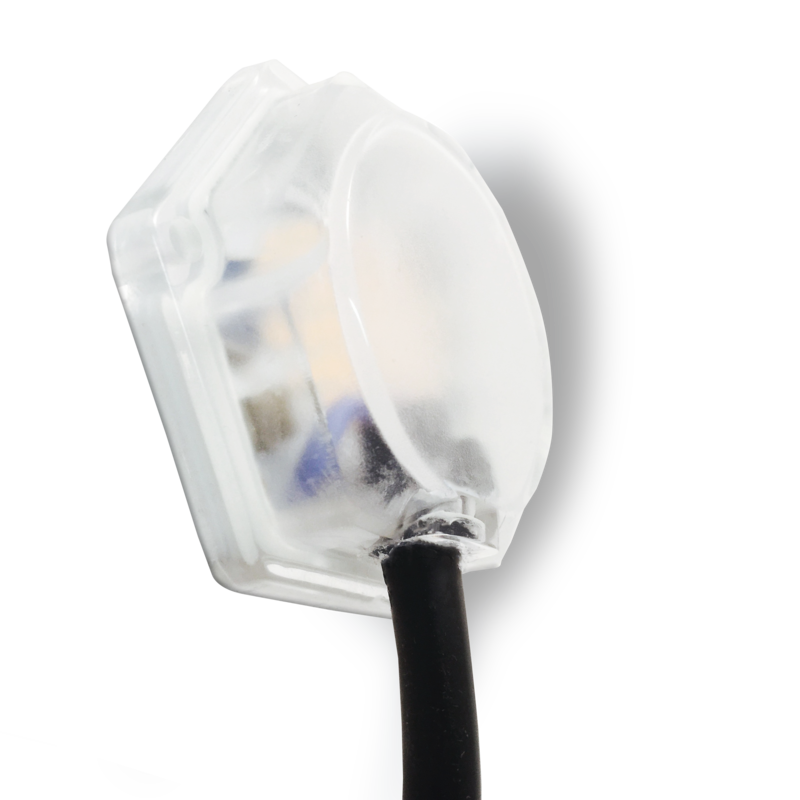 We have thus moved away the moisture barrier that previously had to be built into the luminaire, this simplifies for the OEM manufacturer. 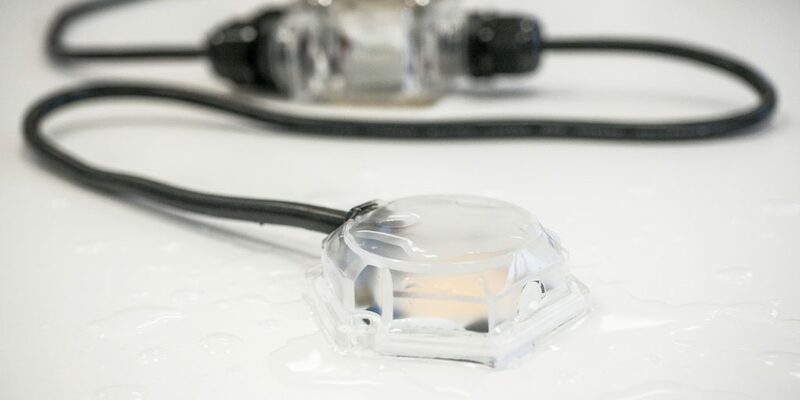 The manufacturer can now concentrate fully on designing and creating a unique design instead of focusing on how the different moisture-proof environments will be achieved as all this is integrated in the module. All you need are two screws to attach the module, for example, to a steel beam. 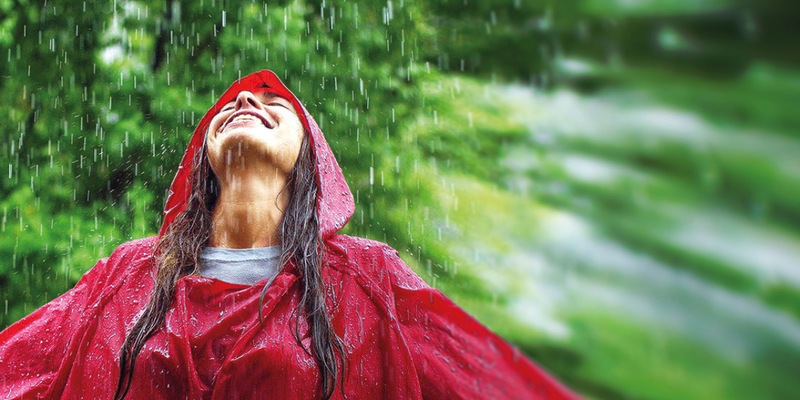 All electronics are encapsulated in the casing and a breathable membrane allows to prevent condensation. 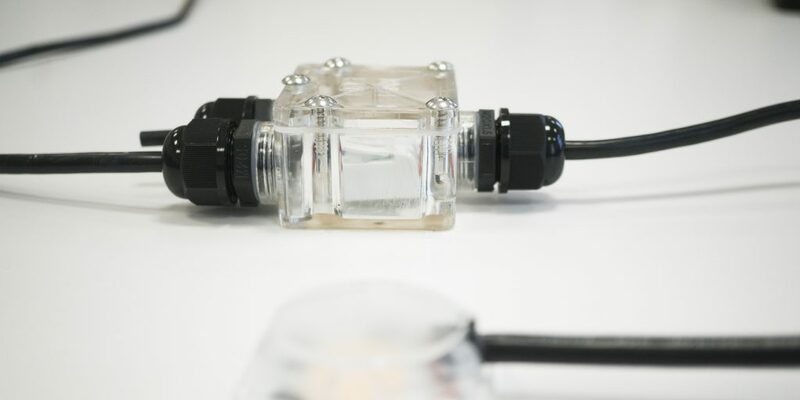 What is needed is a moisture-proof junction box as the electrician has access to the connection of 230VAC. 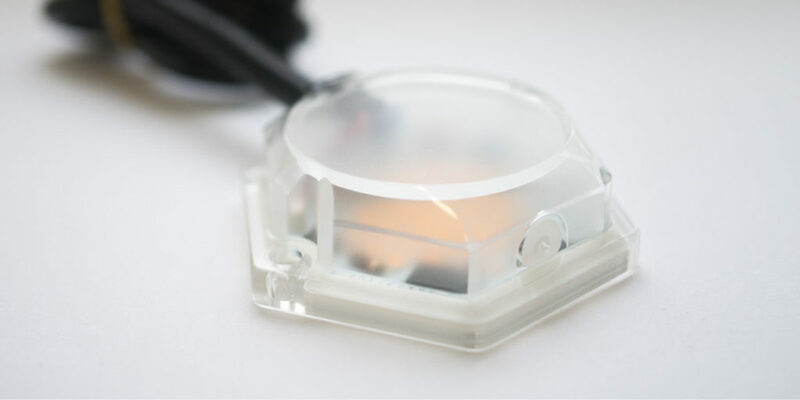 And mount the module on any kind of heat dissipating material. To make it easier for to implement this device, we have tested it for IP65, IP66 and IP67 and verified this through Intertek tests. We have tests well documented and our test numbers are disclosed as needed to minimize the costs of all users in Europe. 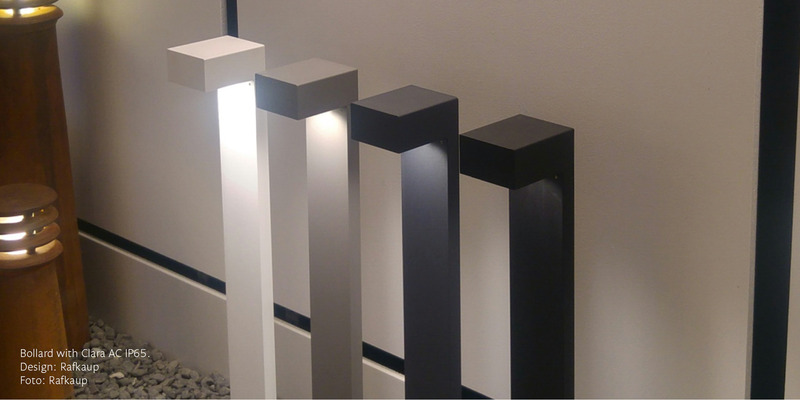 The tests will not be required to be duplicated by the luminaire manufacturers as we use an accredited test body. This is because we make it easy for the luminaire manufacturers to test the final devices. 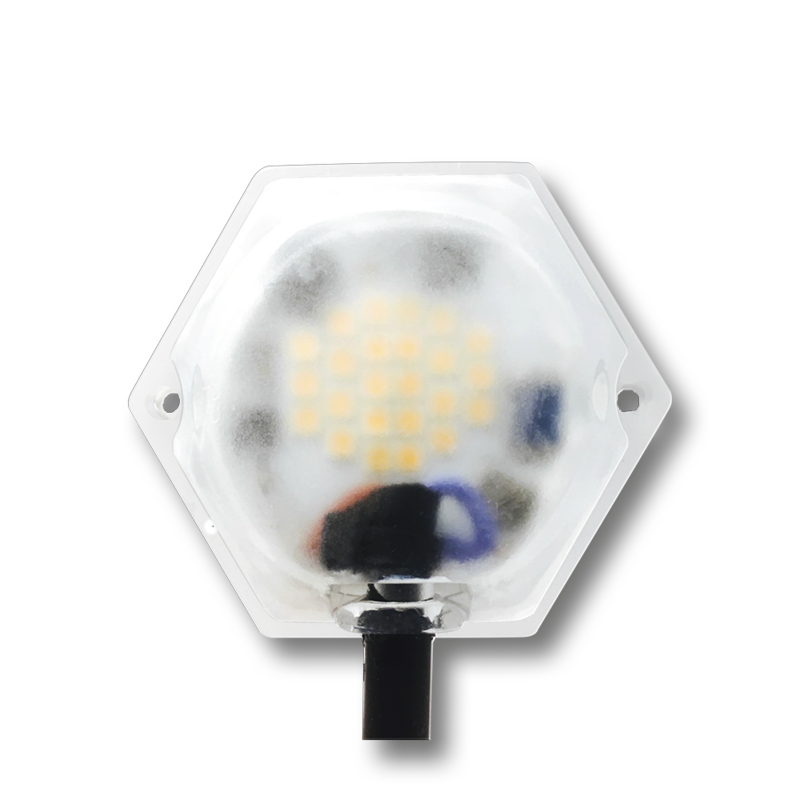 The base of the construction is one of our strongest and most abundant LED modules from low power to high with 230VAC as switching voltage. We have integrated a 2 conductor, double insulated rubber cable to have a flexible option of switching. The LED module is ventilated through special membranes to always be able to equalize in order to minimize the risk of moisture ingress.